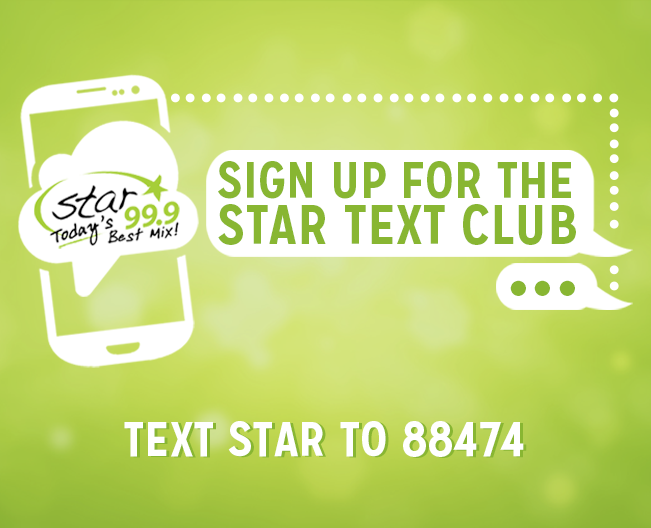 Text STAR to 88474 for exclusive perks, contests and insider info. Text ACOUSTIC to 88474 for upcoming Star 99.9 Michaels Jewelers Acoustic Sessions. Note: You may opt-out of these texts whenever you want by texting the word STOP to 88474. To receive help, users can text the word HELP to 88474.